NEW CHANGES are here for the 3D PRINTING SERVICES: starting in FALL 2018 the Library's 3D printer is no longer self-serve. 3D printing services will still be offered but all printing will be completed by Libary staff. Finished prints will be picked up and paid for by the patron at the Library's Service Desk. How do I get my model printed? Fill out the 3D Print Request Form at https://library.upei.ca/3dprint/form and upload your file. Watch for another email from Library staff letting you know that your print is ready for pick up. (Please note we cannot provide pick up times in advance). Pick up and pay for your print at the Library Service Desk (cash or UPEI ID card only). 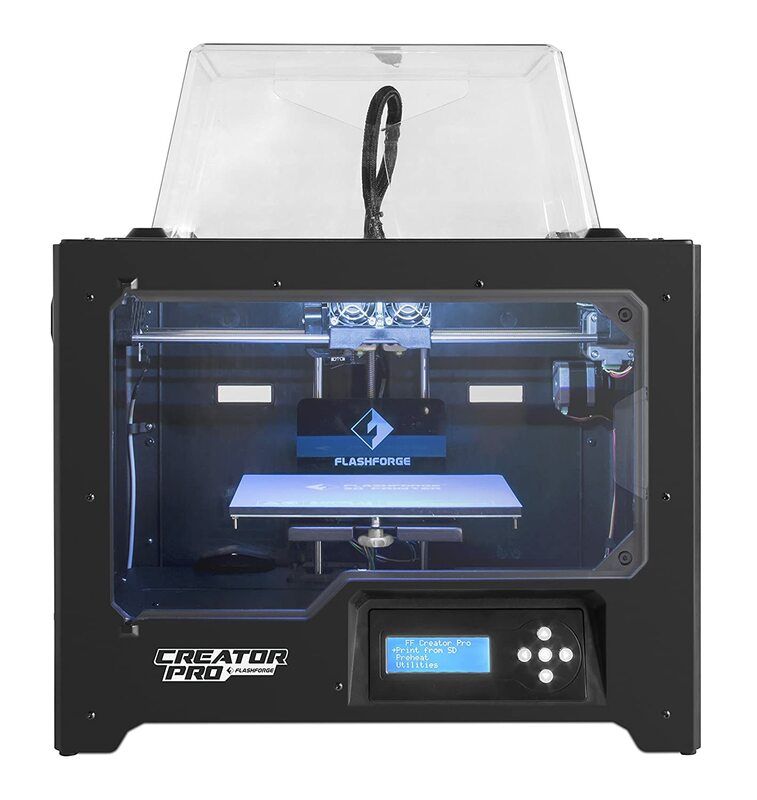 Please see the 3D Printing Policy (PDF) for more information on accessing the printer. Also see 3D Printing FAQ and 3D Printing Resources for more information about 3D printing. It is a process that allows you to create a real-world version of a digital 3D model or design. Where do I find 3D models that I can have printed at the Library ? There are lots of free websites where you can download free 3d models that have been created and made available by other users. Here is a list of websites to check out. Library staff will weigh and calculate final cost once the print is complete. What material will my printed object be made of? The Library uses a type of plastic called PLA (polylactic acid). It is not quite as strong as some other types of 3D printing materials and it can warp under a moderate amount of heat (a figure sitting on the dashboard of a hot car can start to lose its shape) but it is cost effective and has very little odour when melted.